Purchased these after purchasing my GT2. Shipping was quick and tracking updates were provided. They fit perfectly and lock in place with the hook. While they do not go as high up the sides as weather-tech mats, they are still heavy duty and seem to be made well. 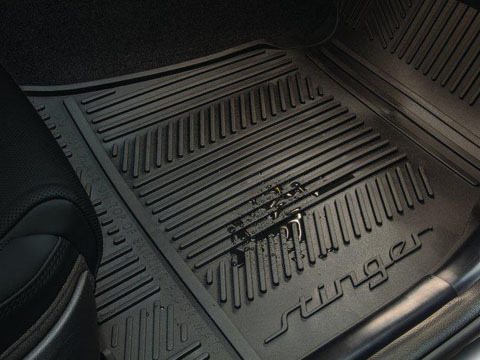 The back seat mats are 2 individual mats, and do not go up and over the center like weather-tech mats do. Not an issue for me. I like the Stinger wording in the mat, makes a nice addition. Would recommend.